This Chinese essay I wrote last week during our 45 minutes class. That’s never enough time for me to write a longer essay and my teacher always likes to point that out, my essays are way too short! Click the essay to see a larger version! For those of you who don’t follow my Facebook page, me and my boyfriend are looking for a new apartment. My landlord wants to raise our rent and it’s already high enough. So we decided to move, just don’t know where yet! The following two weeks will be full of apartment hunting, packing and cleaning so there might be even fewers posts. I’ll write more about apartment hunting in Guangzhou when we find one and are settled in! The wavy line under the sentences means it’s a good sentence. The circles around a character like 了 and 的 means that those aren’t needed, they should be removed. Does this make it a bit clearer? 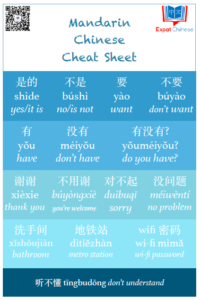 Does anyone actually know when to use 了? well Sara your hand writting is way better than mine literrally even though I’m a Chinese born and raised, i think if my hand writting can be like you when I was learning Chinese in elementry school my mom probably wouldn’t be so mad at me. Impressive and keep the good work! Thank you Matt! These days I’m not really writing much by hand anymore. All our last course assigments could be typed and now there’s only the thesis left. I’m bit worried that my hand writing skills will soon start to get worse. Same here, while I’m studying in Canada we barely have to actually write something down on paper, actually never. I think hand writting is like swiming, you either swim good or swim funny, but you will never forget it and you can always pick it up by some practise, good luck. 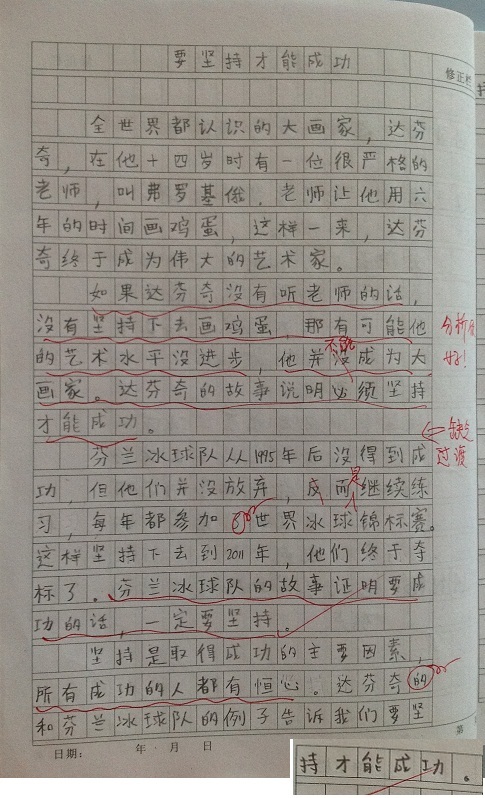 A Chinese person claims that your handwriting is better than his. I’ve had Chinese say that to me too but the reality is that we can never compete with those hours and hours and years and years of practice. No matter how quickly Chinese write it still looks superb and symmetrical and it’s always legible no matter how far it strays from the printed characters. We need those little boxes to keep our handwriting in order. Funnily enough Russians are the same – everyone has exactly (almost) the same handwriting and it is so incredibly need. None of the variation you get with western handwriting. Keep trying and you will get there, Robert. The improvements are un-noticeable after you reached certain level in any language learning progress, it’s slow but you will get there that’s what I can promise you. Above all that who cares hand writting anyway nowadays. Luckily I studied Japanese 30 years ago so I wrote heaps by hand back then and it’s all the same principal. Nowadays I don’t think they bother wasting time on handwriting.